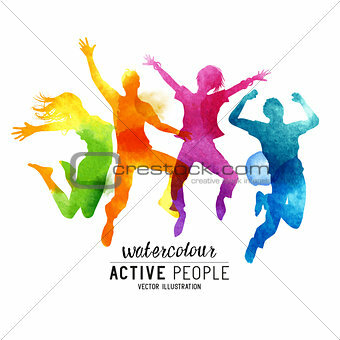 Image Description: Watercolour Jumping People Vector. A group of freinds jumping into the air. Vector illustration.